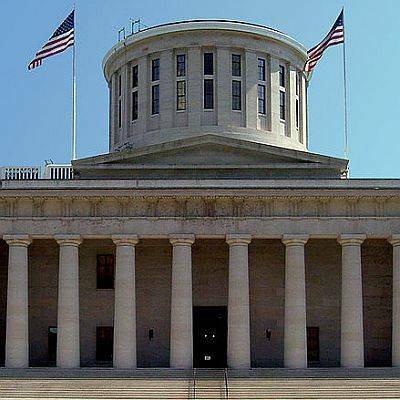 COLUMBUS (AP) — Ohio’s original state constitutions will be displayed soon in a permanent exhibit at the Ohio Statehouse Museum. The exhibit featuring the state’s 1802 and 1851 constitutions will be unveiled Wednesday. The Capitol Square Review and Advisory Board and the Capitol Square Foundation in partnership with the Ohio History Connection produced the exhibit. It showcases the original documents in conjunction with visitor-interactive displays that will answer questions about the Ohio Constitution and how it impacts Ohioans. The 1802 constitution set up Ohio’s system of government, including establishing the Ohio General Assembly. The 1851 constitution reduced some of the legislature’s power, including giving voters the power to elect judges and statewide officials such as the attorney general. The documents have been stored for years at the Ohio History Connection’s archives in Columbus.